Your job will be done on-time and on-budget by our skilled installers. We are proud of our experience in the commercial sector and can accommodate custom requirements. For more details on how we can help your organization or business, please contact our owners directly and we will be happy to come out to your site for a consultation and estimate. 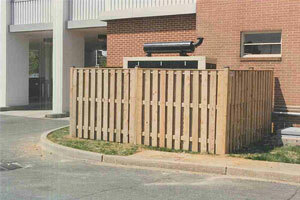 Please feel free to visit our commercial fencing photo gallery and contact us today for a consultation. Rustic Fence, Inc. has developed a focus on customer service practices providing professional service for all our clients. 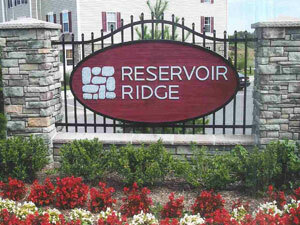 Rustic Fence, Inc. has provided residential and commercial fence and installation services for over 40 years and services clients throughout the Maryland Counties of Howard, Montgomery, Frederick, Carroll and Baltimore. We are a full-service professional commercial fence contractor providing a complete range of fence installations and fence repairs serving homeowners, general contractors, home builders, architects, landscapers and more. We have an outstanding reputation for service and workmanship and provide quality results on any size project. 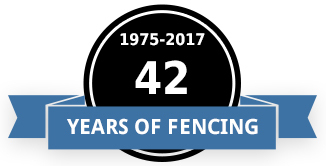 Our comprehensive fencing product selection allows our customers to make educated height, style and material choices to best suit their fencing needs at competitive pricing. Be sure to visit our photo gallery. Rustic Fence, Inc. has extensive knowledge and experience with qualified staff and commercial fence installation crews dedicated to the diverse needs of our customers. We are experienced working with a variety of customers from small business owners to municipalities to major area companies and provide fencing products and installation services for residential, commercial, athletic facilities and fields and farm and ranch. We also offer fence material sales and snow plowing services.